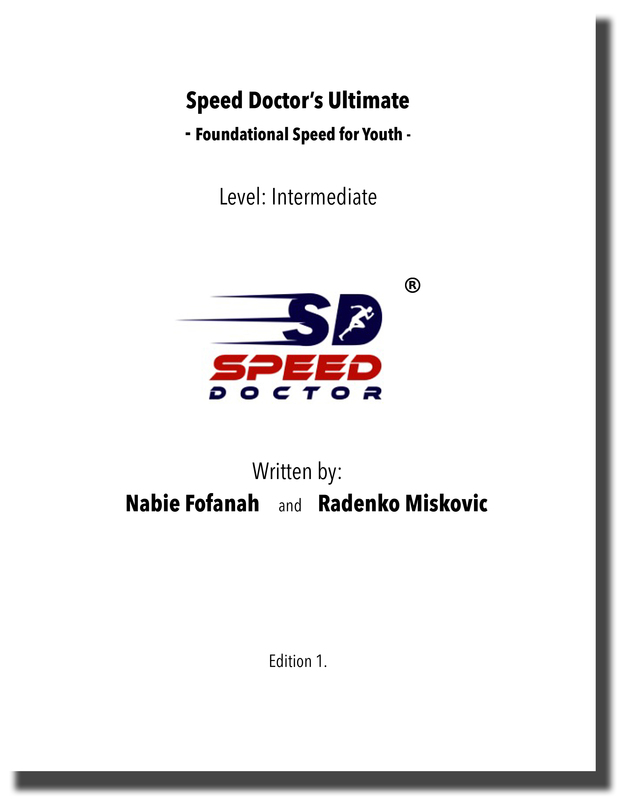 From the Introduction: With the current state of every sport being that athletes keep gaining more and more speed and athleticism every year, it is obvious to everyone more than ever that “speed kills! !” So in order for you to succeed in your sport, you either train your speed with an elite program such as this one or you will get left in your opponents dust. This is why we created this powerful but yet simple speed program for young athletes of all sporting and athletic activities. This program is derived from our 30+ years of experience having spent countless hours training for 2 Olympics, educating ourselves by reading scientific research articles, books, attending sports science conferences and learning directly from the worlds’ most eminent experts. These preparations ultimately led to our ability to train and coach World class athletes. This program can help athletes of the following sports: Track and Field, Football, Soccer, Baseball, Basketball, Rugby, Lacrosse, Hockey, and all the sports where speed is required, as long as the adequate fundamental speed training has been done with a coach, for at least one year. The great difference between this program and others is that it gets straight to the point – there is no wasting time with exercises that will not improve your speed. Based on our experience, we have designed and personally tested these exercises with the sole purpose of maximizing speed improvement in the shortest time possible. The first concept we adhere to is the use of a minimum but very specific set of drills designed to “fix” the athlete’s form in the shortest time possible. Running form is very important and must be learned correctly but you must not spend half the workout on it and you also must only do the very best drills that will give you the best bang for your buck. The second concept we choose to use is: “own body weight” strength training and not weights, because of the foundational strength needs we observed in athletes between ages 14 to 18. Many coaches and athletes jump ahead too soon and begin lifting weights without having the appropriate foundation with essential own body weight strength, which sets them up for being much more likely to get injured, as well as the inability to maximize their weight room strength gains because of the lack of proper inter – muscular strength, a lack of a proper neurological strength link between the muscles, tendons, ligaments and fascia. The third concept as it relates to speed training involves “Contrast acceleration training” because of the exceptionally fast rate of improvement. Increased rate of force development (RFD) is the single most important trait for enhancing an athlete’s speed. Observable results will be achieved quickly once RFD is increased. This is a general program that will suit many athletes needs. However, it is not a custom designed program for each individual athlete. Knowing that, make sure to consult a professional coach if you feel any pains or injuries and immediately stop training at the first sign of any pains or injuries.